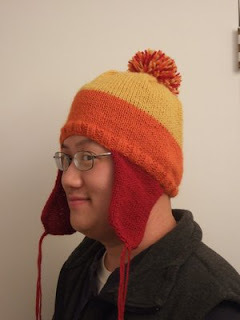 What a fun hat - I love it and the colors are great! I can't wait to try this hat - although I must confess, I am not going to do the earflaps and the pom, I just have been REALLY diggin' the photos of the body of the hat and while I'm sure I could have figured out the decreases etc on my own, I was too lazy so I've been waiting for the pattern to be posted. 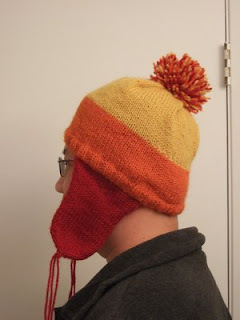 Maybe once I make a plain one I will branch out and make another with a pom and/or flaps. :) Can't wait!